Anyone who has a pet knows that they’re a member of the family just like you and the other humans in your house, and that’s why so many pet owners are big fans of Pets at Home. As well as having a huge range of animals, food, beds, toys and treats in stock, their animal-loving colleagues are always on hand to give out friendly advice, making sure that we all have the happiest and healthiest pets that we can. 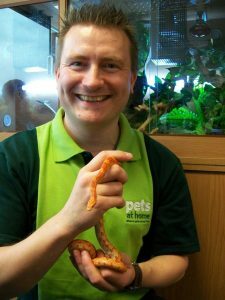 Pet & reptile operations manager. First and foremost, I got my job because of my love of animals. They have always played a huge part in my life, be that keeping whatever bugs I could find as a child and exploring nature, to teaching my daughter about the natural world as she’s growing up. I did a degree in biology and chose modules that were especially animal-focused, and then went on to teach science at my local secondary school. I then did a master’s degree in environmental sciences, which led me to volunteering with the Environment Agency. My first step into the world of retail was with Focus, where I ended up in charge of their pet department in the store I was working in. That led me to a management position with Pets at Home, which is where my career as it stands now all began. 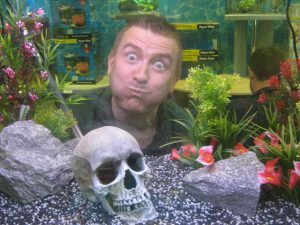 I worked in one of our stores as a deputy manager for three years, then as a field pet manager for five years, and now I work in our head office as the pet & reptile operations manager. The sheer diversity of my job is what makes it so fun and exciting. There are some routine tasks that I have to perform on a day-to-day basis, but you’ll find this to be the case with every job that you do. Outside of that, though, literally anything could happen. For example, I once got a phone call from one of our vets who needed help getting a marmoset out of a cavity wall! My job is fast-paced and always changing and I love how different every day can be, whether I’m keeping up with the latest paperwork and documentation on animal legislation or sitting on a panel discussing animal welfare considerations and ethics. The most difficult bit about my job is switching off. As I’m a person who has always loved animals and the majority of my role is about keeping them safe and happy, I find it can be very challenging to stop myself from working so that I can take the time to relax. To do my job, the most important thing is to be friendly, approachable and have the ability to talk to people. Pets at Home is a retail business, so making sure our pets are looked after to the highest welfare standards, and our customers, are our biggest priorities. Working in retail is very fast-paced so you need to be able to accept changes and face new challenges, all with a smile on your face. All of the sciences are really important when you’re looking at work involving animals, but looking at my role on a day-to-day basis, the subjects I frequently use are biology, business, chemistry, computing, English and mathematics. Getting a job and doing it well is all about being passionate and interested in the overall nature of the work. You may end up doing things you don’t love as part of your career journey, but if you focus on these as stepping stones towards getting where you want to be, you’ll do very well. 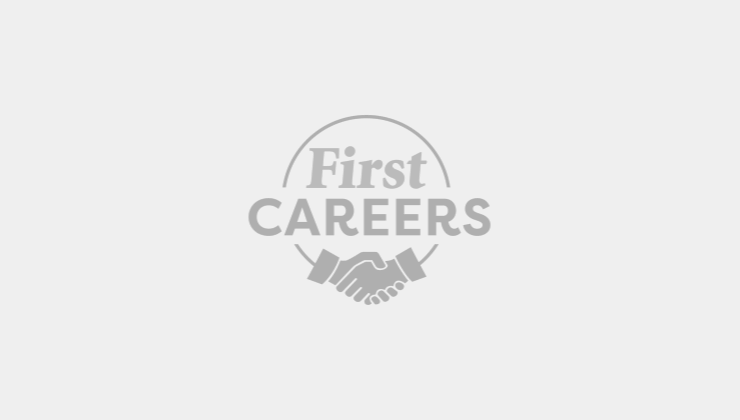 To do a job like mine, start out with a focus on science-based subjects and if you find yourself interested in something more specific, do additional classes and research into these areas so that you’ve got as much experience as possible. I’ve got to where I am today by never narrowing my field of interest into anything specialised – I just knew that I have always loved animals and wanted them to be a key part of whatever I ended up doing as a job. My role could change not only in five years’ time but in as little as a year’s time! With the rise of internet shopping and online engagement, everyone in the retail sector has to work even harder to make themselves stand out from the crowd. The natural world and things like climate change and conservation could also have a huge impact on my job. There are also new regulations introduced all the time, which means that some animals cannot be kept as pets or that new animals are able to be kept as pets, and this can cause huge changes to the work I do.